If you’re shopping for garage doors in Louisville, Kentucky, or surrounding areas, you may be overwhelmed at the number of options available. If that’s the case, turn to the professionals at 31-W Insulation. We have been helping homeowners like you with home improvement needs since 1972, and you can rest assured that we will do everything possible to help you find the perfect garage door for your home. What design features are attractive to you? We offer a wide variety of doors engineered by some of the finest companies in the industry, include Wayne Dalton®, Amarr®, and Windsor Door. Our doors are manufactured out of steel, wood, or fiberglass with customizable features that include decorative hardware, light panels, and windows, so your new door can reflect your personal design aesthetic. What practical needs are important? Do you use your garage as an office or playroom? If so, you probably need a heavily insulated door to reduce outside noise and help the room maintain comfortable temperatures. 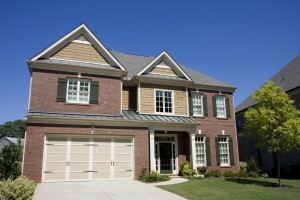 We offer garage doors with as little or as much insulation as your situation demands. What is your budget? We can help you find a beautiful door that will look terrific on your home at a price that is affordable to you. Plus, our doors are backed by impressive warranties, so you can be sure your investment is well protected. To learn more about the numerous garage doors available for your consideration in Louisville, KY, or surrounding communities, contact 31-W Insulation today.